“The feedback from the delegates was overwhelmingly positive. Seeing me made them feel as if I was there in the room with them which made it easier for them to listen to me and understand what I was saying”. That’s what I told my boss when she asked about my use of live video in my virtual training courses. We’re an on-site team that deliver IT courses to end users. At a recent team meeting, a number of ideas were kicked around on how we can make our courses more interactive and engaging. One of the ideas was to use a webcam. 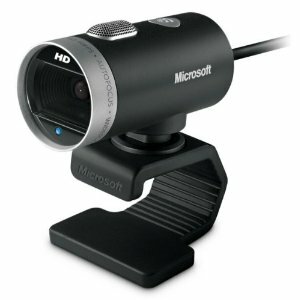 Our laptops have built in webcams and we also have external USB webcams. Someone suggested that we limit the use of video to the course introduction, the course closure and the start and end of each section as too much video might be a distraction (note – I don’t necessarily agree with that statement). This week I’ve delivered 4 short virtual training courses (1 x 2 hour course and 3 x 1 hour courses) and decided to experiment with using video. I went “all the way”, leaving the camera on throughout the entire course. 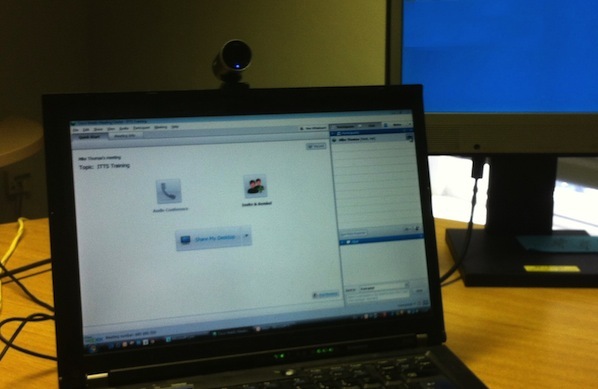 Appearing on camera takes a bit of getting used to as you realise that every move and every action can be seen by the delegates, whether it be taking a drink, scratching your nose or leaning backwards in your chair. To be honest, from that point of view, it’s no different to delivering live training, but having spent a considerable amount of time delivering virtual training in recent years being able to do all those things, it just takes a bit of a shift in behaviour. Read the full article, including the technical setup in this blog post. Meanwhile, if you have any questions or comments please post them below.